Before last night, I thought that Xanadu at the Chanhassen Dinner Theatres was THE musical to see this summer. 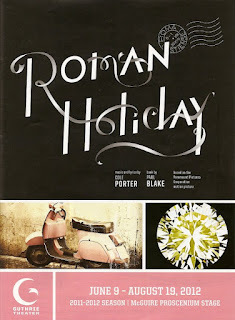 But after seeing Roman Holiday at the Guthrie, I have to amend that statment. There are two musicals you need to see this summer: Xanadu for the fun, campy, winking look at movie musicals, and Roman Holiday for a lush production of a good, old-fashioned musical. As usual, I have never seen the classic movie on which this musical is based. 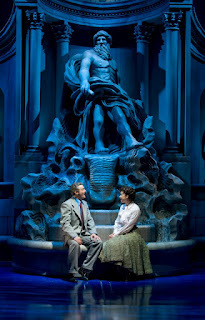 This new musical written by Paul Blake incorporates songs of Cole Porter into the story of Princess Anne, who escapes her strict diplomatic schedule to spend a day touring the city of Rome with a gentleman she meets on the street. What she doesn't know is that he's a journalist who knows exactly who she is, and is planning to write a story on her. In the fairly predictable plot, they two fall in-love-for-a-day and he rethinks his plan. Even though this is a new musical, it feels like a classic, with gorgeous orchestrations of classic songs, big dance numbers, and a compelling romance. The Guthrie has assembled a fantastic cast of both local talent and imports from Broadway. The two leads fall into the latter category. Stephanie Rothenberg is absolutely delightful as the wide-eyed, enthusiastic Princess Anne. Edward Watts is perfect as the tall and dreamy Mr. Bradley. Both have beautiful voices. Another Broadway import, Jim Stanek, is charming as the third member of this friendship (and partner in Mr. Bradley's scheme). A few locals round out the principals, including the great Michelle Barber as Anne's aunt and confidante. And as I've said many times before, Christina Baldwin can do anything - from silly to serious and anything in between (did you catch her in the Moving Company's lovely Werther and Lotte?). 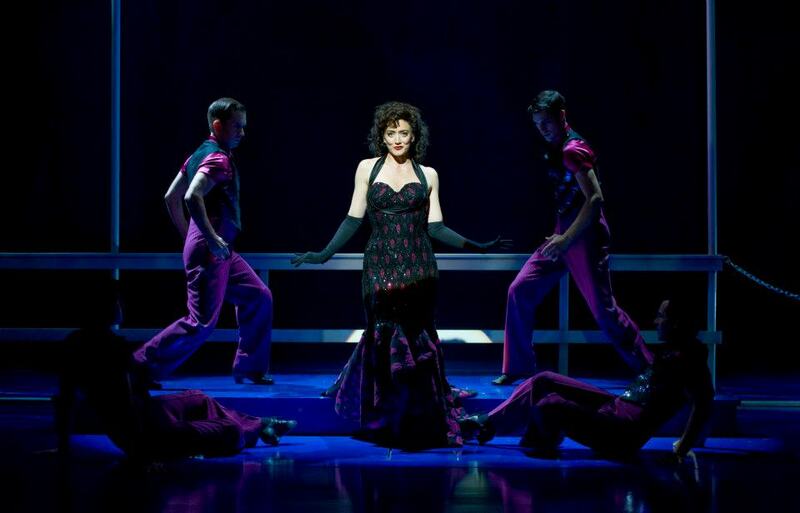 Her Francesca is funny, flirty, and fabulous, singing and dancing with a bunch of boys. There's such great familiar talent in the ensemble that it was almost distracting. Instead of watching the main action, I was laughing at John Skelley as a mustachioed ice cream man, or marveling at the grace of Broadway vet (and local talent) Linda Talcott Lee, or watching Ann Michels dance with Tony Vierling, or recognizing Jared Oxborough beneath sideburns and a goatee. This cast has serious chops - singing, dancing, and making the background action almost as compelling as what's in the foreground. As usual at the Guthrie, the production value is at the highest level possible. 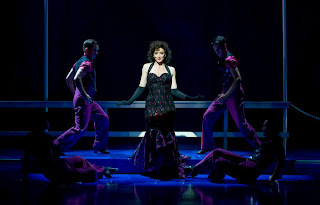 The costumes (by Matthew J. LeFebvre) are to die for, even ones that only appear on stage for a brief moment in the background. Gowns, hats, gloves, shoes, all gorgeous. The show also features amazing set construction (designed by Todd Rosenthal), with various pieces floating in and out from the sides, back and above. They've even recreated a portion of Rome's famed Trevi Fountain. Last but certainly not least, the orchestra sounds gorgeous. I should know, I was sitting almost directly behind the conductor, Andrew Cooke. This production truly is a feast for the eyes and ears! 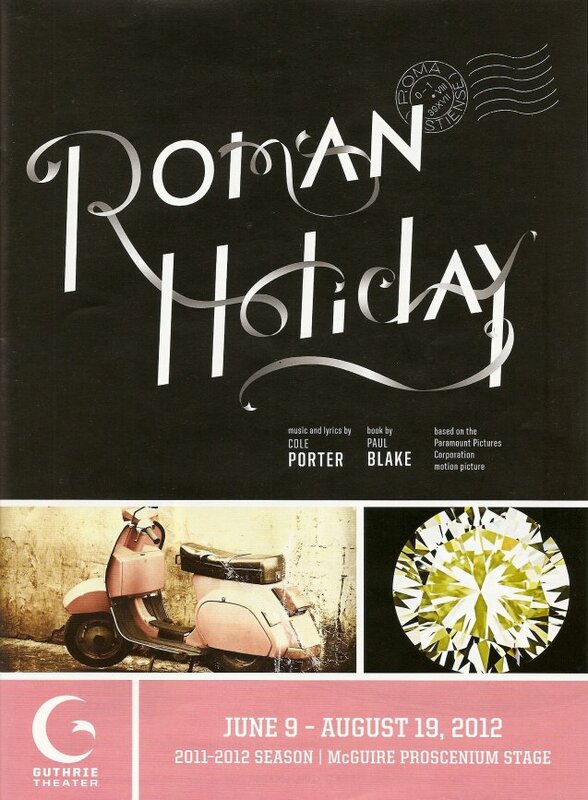 Roman Holiday is playing in the Proscenim stage at the Guthrie from now until August 19. Check it out to see a Broadway-quality musical featuring lots of home-grown talent. What If Life Were More Like Theatre?